The world is obsessed with Nutella! And why wouldn’t it be? Nutella lends itself to an enormous range of desserts and pastries, brownies, milkshakes, doughnuts, crepes, tarts … you could write a book (and they have). But Nutella is more than just versatile. It conjures up some great childhood memories in the more sentimental of us. There is a blissful innocence to Nutella that harks back to school holiday outings and cheeky midnight snacks. Plus, it’s not the naughtiest of the bad things we eat – there are 50 hazelnuts in a 500 gram jar of Nutella after all. 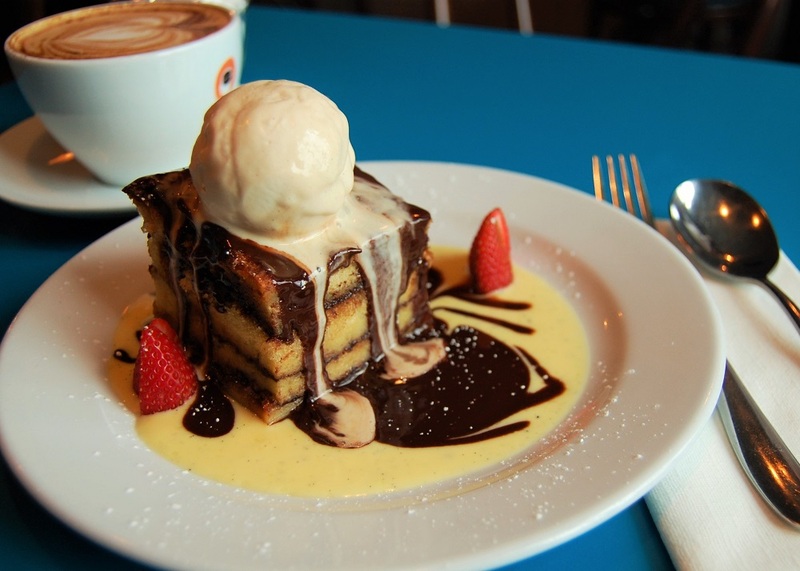 As Stillorgan’s neighbourhood restaurant, it is our duty to feed this obsession – so we present to you the Nutella Brioche and Butter Pudding – simple, sumptuous and incredibly satisfying. Great for dinner parties, for birthdays… or for midnight snacks! 1. Prepare your vanilla pods by slicing lengthways and scraping out seeds. 2. Mix milk, cream, and vanilla (pods and seeds) into a pot. Stir, bring to the boil and remove from the heat. Leave the mixture sit for 10 minutes to allow the vanilla flavours to extract and for the mixture to cool down. 3. When mixture cools to a warm temperature add in the castor sugar and the six eggs. Stir together and the mix will blend, sugar melting. 4. Slice Brioche into 1.5cm slices. 5. Grease the baking tray. Layer the bottom of the tray with brioche slices. Spread Nutella evenly over each layer. Repeat for four layers. 6. Add the mixture into the tray slowly and evenly. Cover with parchment paper to make sure it stays moist as it bakes. 7. Cook in the oven at 180 degrees for 30 minutes. 2. Place the egg yolks in a mixing bowl and add the sugar and vanilla (seeds and pods). Whisk until pale and thickened. 3. Make a bain-marie by putting a pot of water to boil upon which you can sit your mixing bowl. 4. Place the mixing bowl with your egg mix onto the bain-marie, add the milk and cream. Keep stirring (use a spatula and stir from the bottom up). Keep mixing until thick enough to coat the back of the spatula. 5. Once at the required consistency leave to cool. 1. Add all the ingredients together in a mixing bowl and stir together over a bain-marie until smooth. 1. Slice your Brioche and Nutella Pudding into portions, microwave until hot and gooey and plate. 2. Pour the Crème Anglaise on the plate around the pudding. 3. Add a scoop of Ice-cream on top (move quick as you’ll already start to melt). We use a delicious Nociolo Italian Gelato. 4. Drizzle your warm Nutella Cream over the ice-cream. Cristian heads up the small, dedicated team in the kitchen at RIBA Stillorgan. 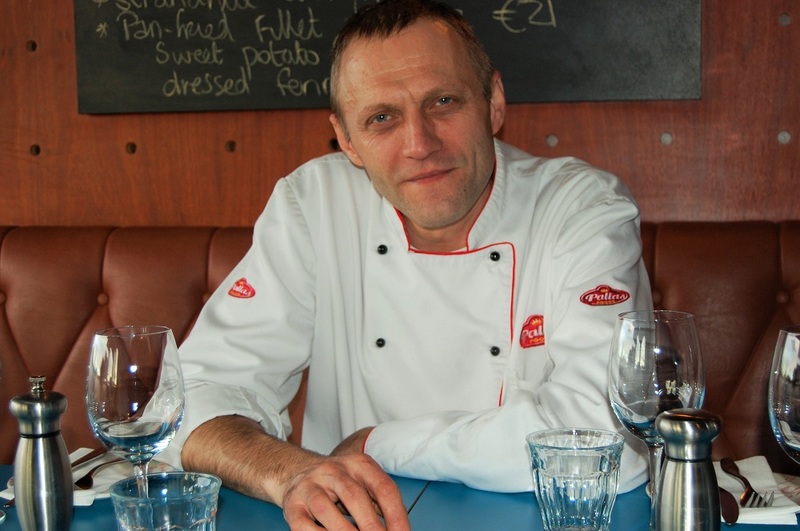 Formerly Head Chef at Benito’s Dalkey, Cristian knows what makes a neighbourhood restaurant great, and his menu and dedication to quality, fresh and exciting food has made this local a very busy spot indeed. And as the RIBA Early Bird is served all evening Sunday to Thursday, it is a place you want to visit every week. Serving Lunch Thursday and Friday 12-4pm; Brunch Spectacular Saturday and Sunday 11am-4pm and Dinner 7 nights.